4 Bedroom Terraced House For Sale in Milton Keynes for Asking Price £425,000. Just a stones throw away from Broughton Fields Primary school sits this immaculately presented FOUR DOUBLE BEDROOM family home in the ever so popular area of Broughton. This deceptively large property, set over three floors, is offered tastefully furnished and benefits from two en suites and a main bathroom. The property comprises an entrance hall with cloakroom, a further entrance hall with a bright and airy lounge, leading through to an open plan dining and kitchen area. Access is available to a rear garden from the dining room. The kitchen includes built in appliances such as a fridge/freezer and dishwasher, separate utility room with a washing machine/dryer and further access available to the garden. First floor comprises of the master bedroom, again bright and airy with an archway leading through to a fantastic unique dressing room with double built in wardrobe space, en suite and a balcony leading of the dressing room, overlooking the garden. This room could also be turned into a further bedroom if desired. The main bathroom is on this floor. There is access also available to the balcony off the first floor landing. Broughton is one of Milton Keynes premier locations. 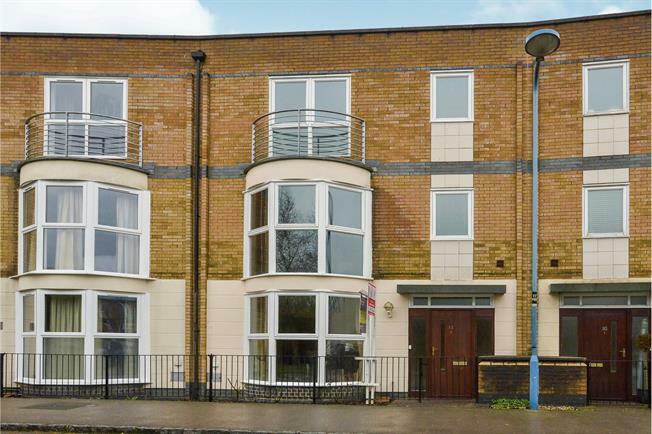 Well situated for local amenities with both Kingston District centre as well as Milton Keynes Centre MK famed as one of Europe's best shopping destinations which include Snow Zone, Theatre District and Restaurants just a 5-10 minute drive away. Close proximity to major road and rail links including the M1 and the A5 and just a short drive to both Milton Keynes and Bletchley train stations offering fast services into London. Carpeted door to living room, door to kitchen diner and door to utility room. Stairs leading to the first floor. Bright airy lounge, double glazed bay window, doors leading to kitchen diner. Double glazed window to rear. Fitting with wall and base units with worksurfaces incorporating stainless steel sink drainer unit. Oven, gas hob and extractor fan. Built in dishwasher and fridge freezer. Door to rear. Base units with worksurfaces incorporating sink. Plumbing for washing machine and space for fridge. Fully carpeted with fitted wardrobes, door leading to ensuite, landing and to the balcony. Three piece suite comprising tiled shower cubicle, low level WC and hand wash basin. Three piece suite comprising panelled bath with shower over, low level WC and hand wash basin. Double glazed window, fully carpeted. Double glazed window fully carpeted.